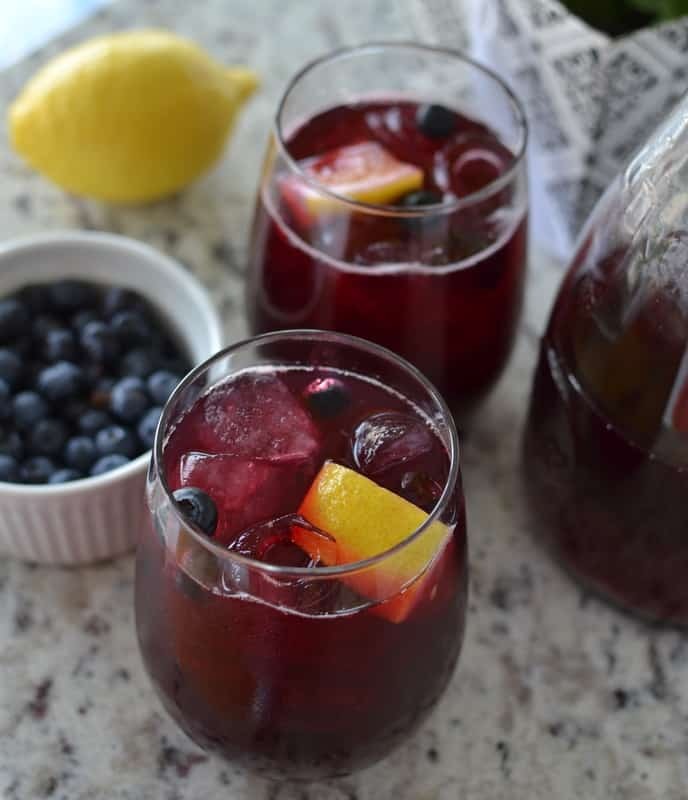 Fresh Blueberry Lemonade is the most refreshing spring and summer beverage. It comes together quickly with four ingredients. It is a family favorite and we love to serve it at our summer parties. They keep telling me that Spring is on it’s ways. I can hardly wait. It has been a long winter and it seems like I have been waiting forever. I am ready for all that spring and summer has to offer like fresh garden salads, sun ripened tomatoes, mouthwatering fruit and cool refreshing beverages. 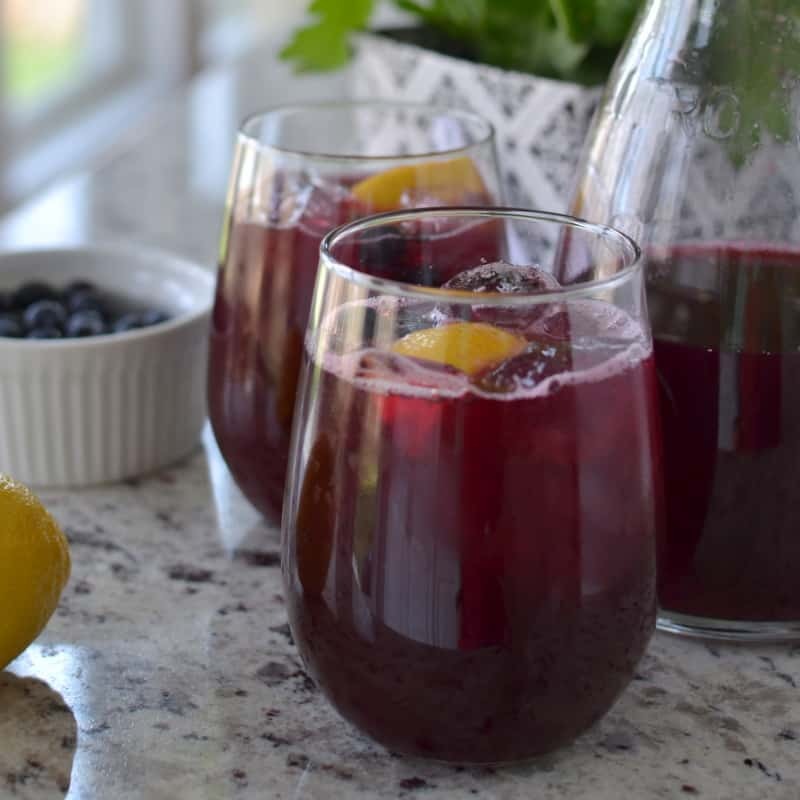 This Fresh Blueberry Lemonade is simply amazing! 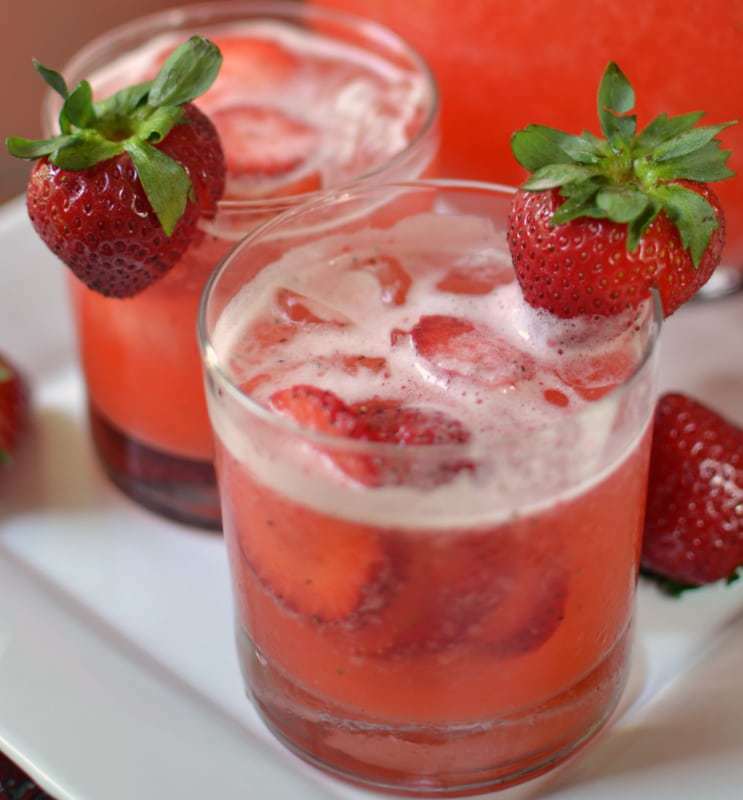 It is the perfect spring and summer refreshment. I absolutely love blueberries! Blueberries are high in antioxidants, vitamins and fiber. I love them so much that I think that this recipe favors the blueberry lover in me. Have you tried any of my other blueberry recipes? Blueberry Cream Cheese Bars, Blueberry Cheesecakes in Mason Jars and Blueberry Orange Cream Cheese Cookies are just a few family, friend and reader favorites. These delicious Blueberry Egg Rolls from Spend with Pennies is a fellow blogger family favorite. Are you a blueberry lover? What is your absolute favorite blueberry recipe? Are you entertaining this summer? Are you having your son or grandsons baseball team over after the big game. This sweet revitalizing drink is just right for almost any occasion. Are you having the neighbors over for a shindig? 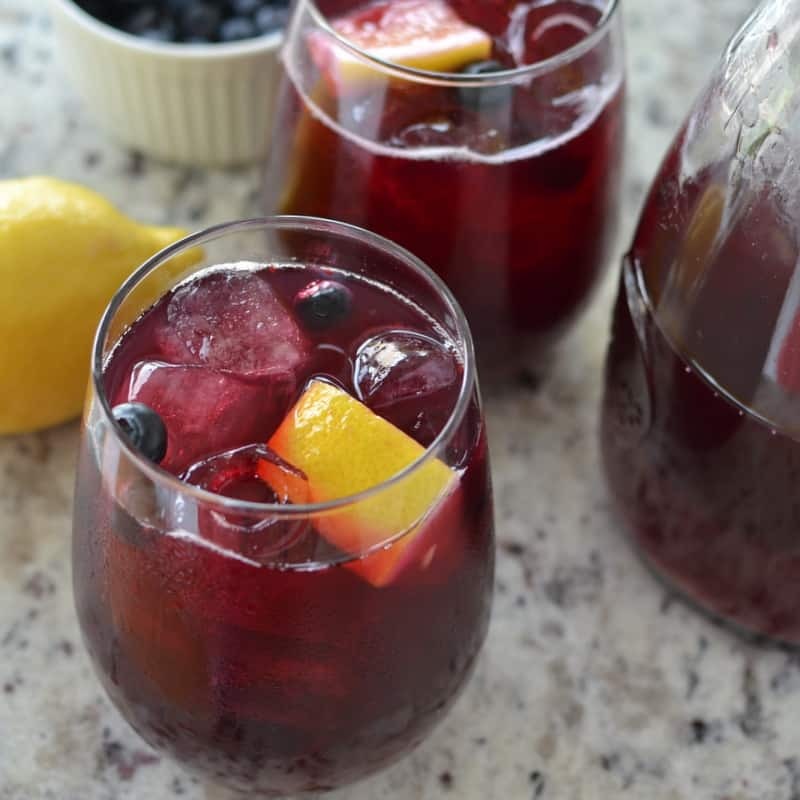 Wow them with a pitcher of this Fresh Blueberry Lemonade! Want to turn it into a cocktail then just add a jigger of vodka! Look at all that amazing refreshing goodness! Your quests will be singing your praises! In small saucepan over low heat add blueberries and lemon juice. Cook stirring occasionally until most of the blueberries have popped; approximately 7 minutes. Remove from heat, and pour through a fine wire-mesh strainer into a large measuring cup, use the back of a spoon to squeeze out the juice. Pour the blueberry mixture into a pitcher. Add water and sugar. Mix well and chill until ready to serve. 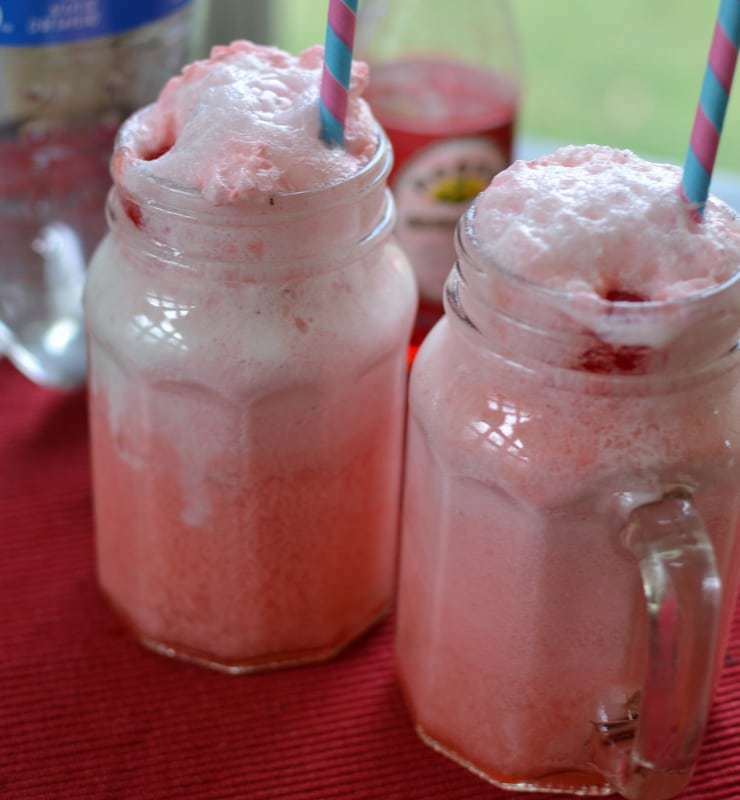 Other refreshing beverages you will love!! I am so glad that you liked it Ella! !